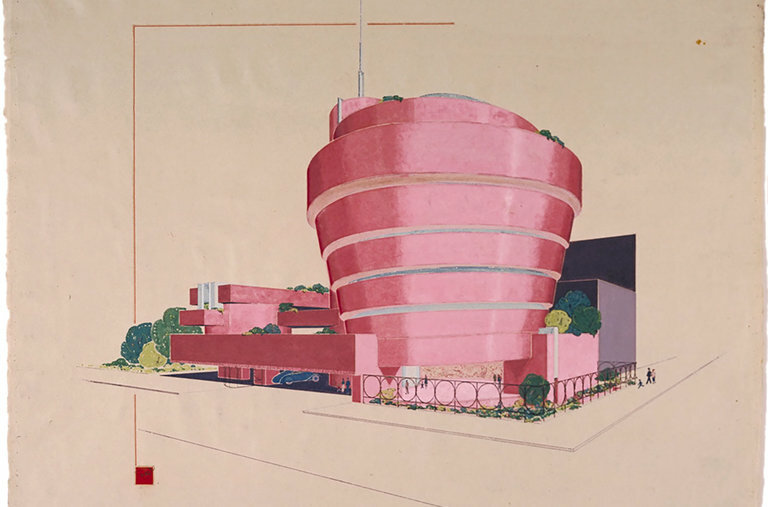 We interrupt our 3-part series on upcoming Modernist exhibitions to put on our party hats and celebrate the 150th anniversary of Frank Lloyd Wright's birth. 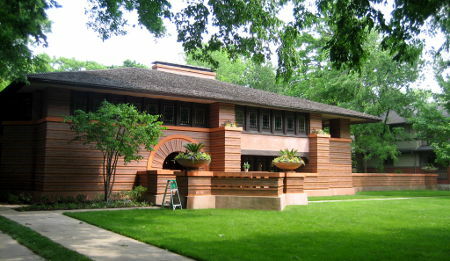 Mill Run PA, has been called "the best all-time work of American architecture"
This giant of architecture and design, and very quotable raconteur ("Tip the world over on its side and everything loose will land in Los Angeles"), was born in a Wisconsin farming town on June 8, 1867. This was before the invention of radio, the airplane, the hand-held camera and the vacuum cleaner, not to mention all our modern conveniences such as air conditioning, personal computers, post-it notes and mind numbing i-everythings. It seems like the less he had to work with, the more his imagination flourished. Wright's output and longevity as an architect and urban planner were astonishing: he designed more than 1,000 structures, 532 of which were completed. His fertile period spanned more than 70 years. 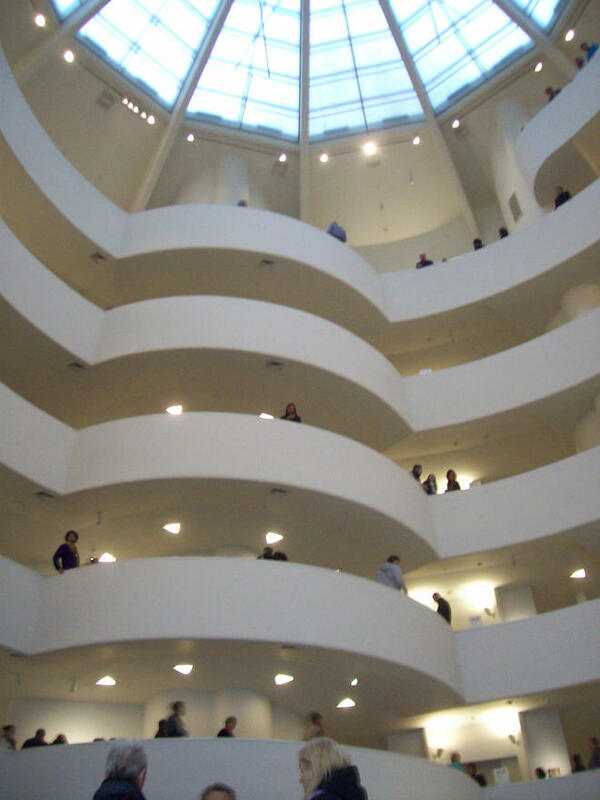 Wright called his design philosophy "organic architecture", meaning that he wanted his structures to exist in harmony with both humanity and nature. 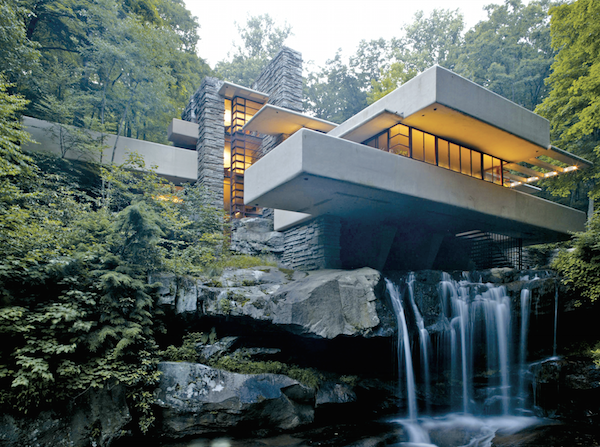 "Fallingwater" pictured above, may be the greatest example of this philosophy. Though highly respected and considered an excellent teacher, humility was not one of his strong points. "Early in life I had to chose between honest arrogance and hypcritical humility. I chose the former and see no reason to change." try to pen anything more about this singular creative force. 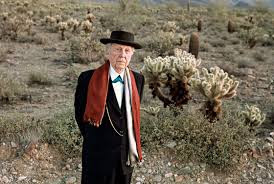 So we will leave you with photos of some of our favorite FLW houses and public spaces, as well as a (partial) list of upcoming activities honoring the birthday anniversary of this force of nature. 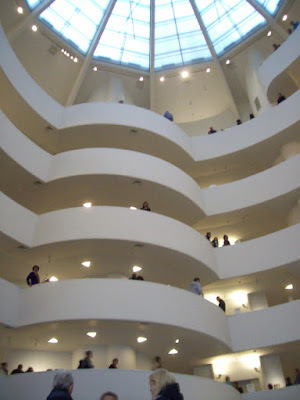 Over the years, it expanded to include a large studio and architectural school much of which was designed by the architect’s students. 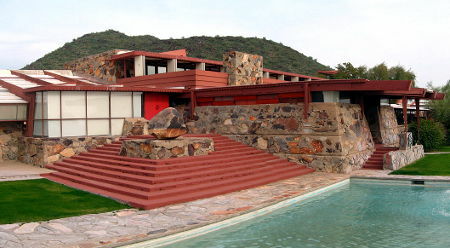 Today, Taliesin West is home to the Frank Lloyd Wright Foundation and the campus of the Frank Lloyd Wright School of Architecture. It is also open to public viewing.